"Boppo" died on Monday. He was 79 - a father, grandfather and great-grandfather. 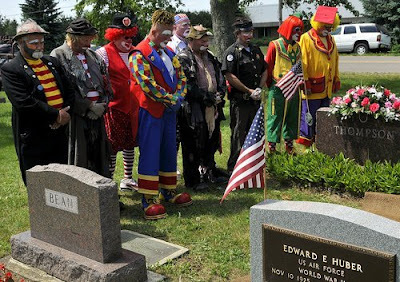 He was also a clown, and took great pride in that. 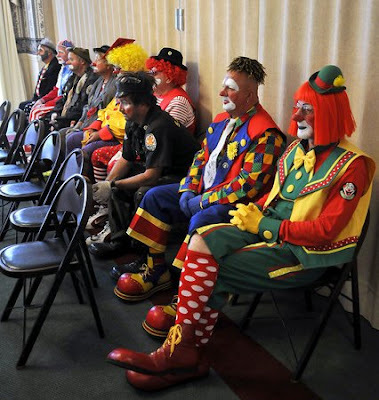 For 15 years, Norman Thompson of Bellefontaine, Ohio, was a member of the Antioch Shrine Funster Clown Unit, helping to cheer children who were hospitalized with burns. 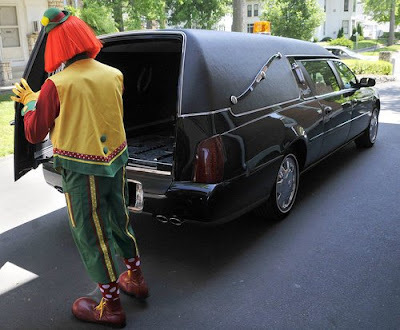 "Willie," the boss clown, explained that laying him to rest in their costumes was the greatest honor his fellow clowns could pay him, but that it was only done at the request of the deceased and their family. 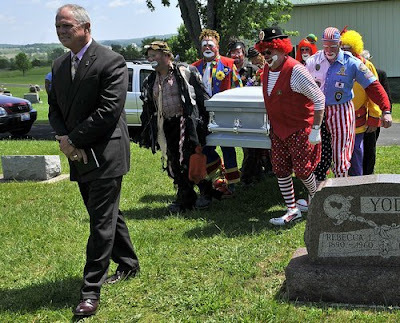 In Boppo's case, all 8 pallbearers wore their big shoes. “Oh, he’s definitely smiling right now,” said his daughter. I am too, aren't you? !